Venus Shell Systems is an Australian company based in the pristine Shoalhaven region, 200km south of Sydney. We are at the global forefront of producing unique, traceable, premium quality marine biomass from the pristine waters of the Tasman Sea. Under the strict guidance of Chief Scientist, Dr Pia Winberg, we have pioneered a proprietary controlled cultivation and production process for a range of consistent, reliable high-grade products. These are formulated to the specifications of our specialist partners, using our proprietary PhycoLAB™ process. Venus Shell Systems integrates and sequesters clean carbon dioxide to rapidly grow unique seaweed biomass and extracts for use in biomaterials, cosmetics, dermatological care, food, nutraceuticals and pharmaceuticals. Our proprietary process enables us to produce consistent tailored biomass to predetermined specifications and levels of purity according to our customers’ requirements. The passionate founder of Venus Shell Systems, Pia has been working across both the marine industry and academia for the past 15 years and has a background in marine systems ecology. Her career has spanned both academic research and industry innovation in the fields of coastal and estuarine ecology, fisheries and sustainable aquaculture systems. Pia’s main research is in marine food production systems that are sustainably integrated with the coastal and marine environment and, as such, her published research efforts span aquaculture and sustainable estuarine systems. 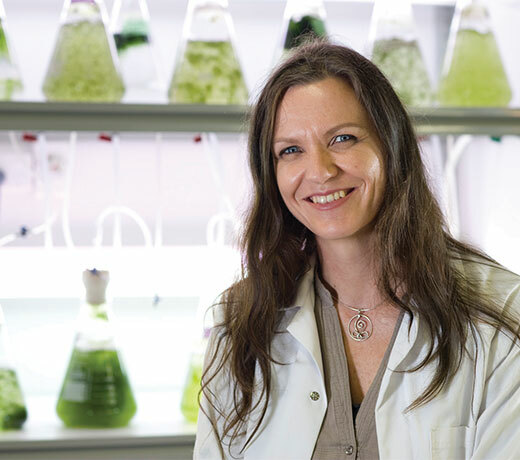 Pia is the driving force behind the pioneering development and production of Australia’s unique seaweed biomass and extracts. Contact us today for more information on Venus Shell Systems and how our unique seaweed biomass can help your business.